At The Skin to Love Clinic we offer a variety of skin peeling treatments, including glycolic peels. Skin peels can be a great treatment option for a range of conditions including some pigmentation, lines and wrinkles, as well as to refresh tired, dull, unhealthy-looking skin. There are many types of skin peels of varying strengths and which perform different tasks. There are superficial peeling treatments, such as glycolic peels, which use enzymes to exfoliate and refresh the skin; gentle yet effective, this type of peel works on the upper most layer of the skin to reveal healthy, new skin cells. These are available in different concentrations so once your goals have been discussed during your consultation and your skin thoroughly analysed, your practitioner will match you with the most appropriate strength peel for you. This type of treatment has little-to-no down time and any discomfort is very minimal; usually the patient will experience a tingling sensation in the treatment area during the procedure. Usually no. This depends on the type of peel you have; some have no recovery time needed after treatment and some do. This would be discussed with you during your consultation and is dependent on the type of treatment you decided to have and any expected recovery time needed for it. Will I be bright red for days after my peel? This type of side effect is usually associated with strong chemical peels. Usually the peeling systems that we use at The Skin to Love Clinic do not have this type of side effect, for example, in our experience patients find that at most they are slightly pink immediately after a glycolic peel and that this quickly subsides. This would be discussed with you before your treatment however. 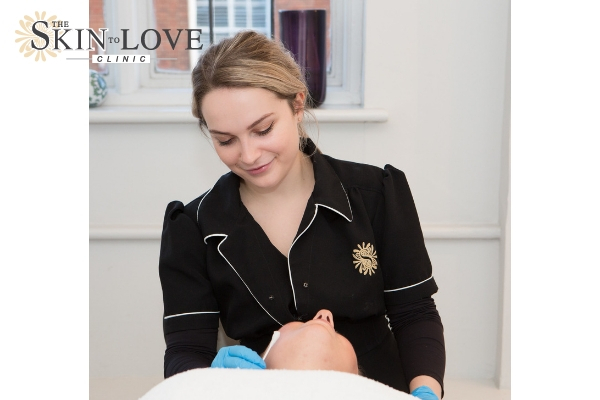 The peeling systems that we use have a good safety profile, nevertheless, consultations are an important part of the treatment process in allowing you to understand the treatment and to establish if the benefits of the treatment are outweighed by any possible side effects. During a consultation your concerns will be assessed. Your medical practitioner will be able to discuss whether this treatment is appropriate for you, as well as any suitable alternative treatments. I’m looking for dramatic correction for my signs of ageing, is this treatment right for me? We will be able to give you specific advice during your consultation, however, if you have very sun damaged, loose skin and/or have other advanced signs of ageing such as deep pigmentation and wrinkles there may be alternative treatments for you such as Fraxel, Clear + Brilliant, Thermage CPT, Wrinkle Relaxing Injections, Dermal Fillers and the Thread Lift treatment. You may need more than one peeling treatment to achieve your results. You and your practitioner will create a treatment plan which may include using this treatment alongside other treatments. You may need more than one peel to achieve your results. You and your practitioner will create a treatment plan which may include using this treatment alongside other treatments. Dependent on your concern. You can have single sessions, but a course may be beneficial depending on the condition you are treating. This will be assed and discussed with you prior to treatment. Usually up to 30 minutes. Dependent on your concerns. You can expect to look refreshed immediately after some peels. This will be discussed with you during your consultation. Dependent on what type of peel you have. Some have no recovery time and some do. 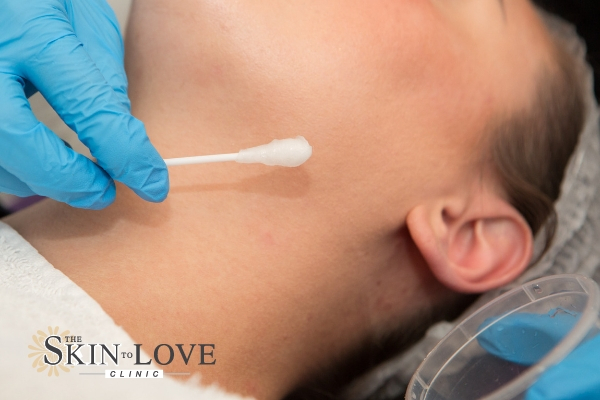 The majority of peels we perform at The Skin to Love Clinic require no recovery time. Most patients find that they can continue their usual activities immediately. Full aftercare will be provided prior to treatment. None to very mild depending on the type of peel. Months to years dependent on concern treated and number of treatment sessions. We are all individuals, therefore, results from treatments may vary from person to person, because each person responds differently. Results achieved from each treatment will last a different amount of time from person to person, this may even vary between treatments for an individual. Results, down time and recovery following treatment will vary from patient to patient and depend on the type of peel you are having. The information we provide is based on the extensive experience we have gained from treating a wide variety of patients of different ages, genders and is based on an average patient experience.